12 tips to drive down your car insurance costs! If you're currently in the middle of renewing or applying for a car insurance policy and you're about to fill in your application form - stop and take a step back. Applying for car insurance is something that shouldn't be entered into lightly. And that's simply because whatever you enter into all those boxes on the form can have a big influence on your car insurance premium - bigger even than you might expect. And while bending the truth on your form to get lower premiums is not an option, there are other ways to ensure you get the best value for your money. Seriously consider how much mileage you're actually likely to do. The higher the mileage, the higher the premium - so if you overestimate your annual mileage, you're effectively throwing money down the drain. That said, you still need to be honest - if you underestimate, it could cost you more if you need to claim - or it could even jeopardise your claim. Of course, estimating can be difficult, so it's a good idea to keep track of your mileage each year so that when you come to renew you've got an accurate figure to go with. It's also important to be as accurate as possible when it comes to working out the value of your car - put a figure that's too high in the box, and you'll probably end up with a higher premium. 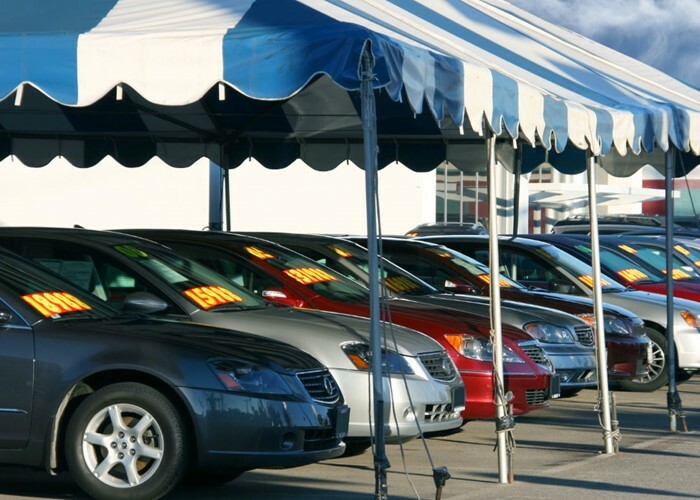 The value of your car is indicative of how much the insurer stands to pay out if your car is stolen or in an accident. So the higher the value of your car, the higher the risk and the higher your premium is likely to be. You're also more likely to claim if your car is more valuable. Just make sure you don't undervalue your car either! If you really don't know the value of your car and want to find out, take a look at Parkers (free valuation if your car is from the year 2000 or later) or you could get a valuation from Auto Trader - although you will have to pay a fee of £3.50 for this. This might sound obvious but the safer the location of your car, the lower your premium will be. So if you have a driveway, use it and state this on your form - don't just park your car on the road. Similarly, use your garage if you have one - you'll reduce the risk of theft that way. Adding an immobiliser, alarm and tracker to your car will also reduce the chance of it being stolen and therefore bring your premium down. 4. What do you use your car for? This is important - if you only use your car for social reasons or for commuting, make sure you tick the right boxes! If you tick the business box by accident, your premium is likely to be higher. Of course, if you do use your car for business purposes, make sure you state this. 5. Do you have a second car? If you drive another car on a regular basis, make sure you mention this as it can bring down your premium. If you're planning to buy a new car, don't be tempted to buy an expensive, powerful one if you want to keep your insurance costs down. If you stick to an inexpensive car with a small engine, you'll make great savings. Before you buy a new car, it's always a good idea to check with insurers to see whether that particular model will significantly impact your premium. Sporty cars, in particular, are likely to have a more hefty premium. Not dissimilar to the above, but if you add alloy wheels and spoilers to your car, or boost the engine size, your premium is likely to go up significantly. In some cases, if the modifications are extreme, they can void your policy. So avoid tinkering with your car too much. If you want to lower your premium, one of the easiest ways to do so is to agree to pay a voluntary excess - in other words, agree to pay out a certain amount if you need to make a claim. Believe it or not, your occupation can affect your car insurance premium. Unfortunately, certain occupations attract higher premiums than others. So if you're a journalist or estate agent, for example, you're likely to pay more because people in these professions generally claim more and are classed as 'higher risk'. However, if you're in this higher risk category, simply altering the wording of your job description can help to bring the price down. But make sure you don't say anything completely inaccurate as this could jeopardise any claim you make. To find out more read The secret to cheaper car insurance premiums. This can be a tricky one. Unfortunately, adding a driver can increase your premium, depending on the risk level of that driver compared with the first driver. For example, if you add a younger, more inexperienced driver your premium will go up. Similarly, if the driver you add has a high risk occupation, has claimed in the past or has a conviction on his/her licence, the price you pay will be higher. So in this case, your best bet is to remove any named drivers you have on your policy who won't be driving the car on a regular basis. They can be added temporarily when needed at a small cost - and that way, your premium will be lower. That said, if you add an older, more experienced driver on a young person's policy, the premium can come down. If your car isn't worth much, it can work out cheaper to get the bare minimum level of car insurance required. This is called third party cover and only covers your liability to others (no cover for damage to yourself or your vehicle). This is different from comprehensive cover which allows you to claim for any damage caused to your car. Third party cover should be cheaper than comprehensive so it's worth comparing quotes to find out. Where you live can also impact your car insurance premium. Even if you've recently moved to a 'nicer' area and therefore expect your premium to go down, you might find that it doesn't. According to Admiral, although nicer areas can come with a lower theft risk, the accident risk is generally higher and as a result, premiums are higher. This could be because that particular area is less urban and therefore traffic is faster - so if an accident happens, it's more serious. Or there could be more expensive cars in the area so if you cause damage to a car, the repair costs are higher. When it comes to filling in your policy form, keep these 12 tips in mind, to make sure you get the best deal for your car insurance - but remember to be honest! And above all, shop around for the best deal - don't just plump for the first quote you check out! Good luck! Don't forget to check out our Cut your car costs goal.